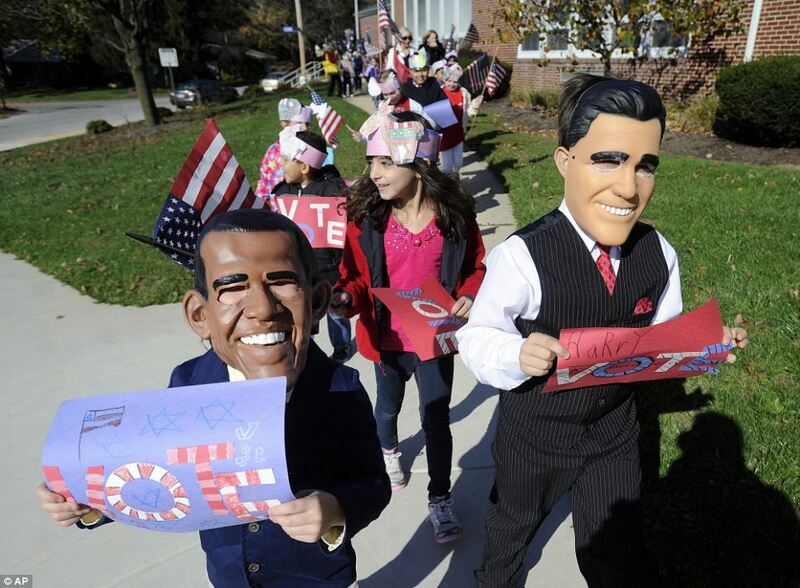 Barack Obama’s hopes of re-election have been given an early boost by exit polls that claimed he leads or is deadlocked with Mitt Romney in many swing states. The polls have the president leading in Ohio by three points, Florida by one point - and tying in Virginia and North Carolina, both must-wins for Mitt Romney. Obama was ahead in the exit polls by two points in New Hampshire, another swing state, and five points in Pennsylvania, which Romney contested fiercely towards the end of the campaign. Exit polls are notoriously unreliable and in 2004 showed Senator John Kerry defeating President George W. Bush, who went on to win re-election. It appeared tonight that the exit polls would have to be inaccurate again for Romney to be victorious. A consistent error of just two or three points in the exit polls, however, would mean that Romney was very much still very much in the hunt.